This is my Creative Chaos submission along with my buddy Carlos at Ragamuffinsoul.com. Our church celebrated it’s 75th anniversary and we made it a big celebration. We had special guests and former pastors over a celebration weekend. One of the things we wanted to do was commemorate the milestone. 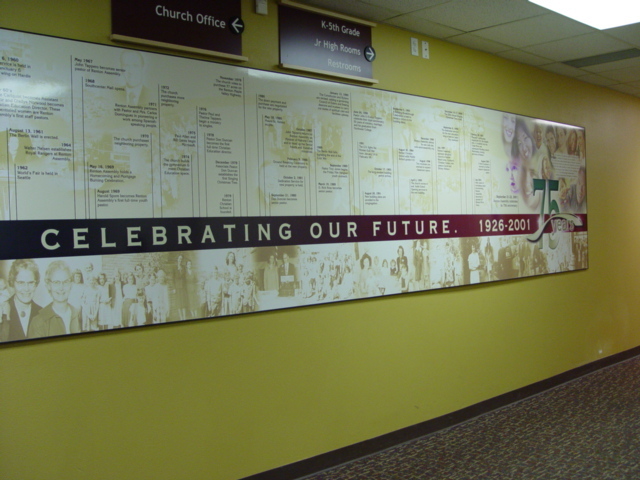 So, instead of making a banner that we’d throw away after the weekend, I commissioned an artist to put together a timeline piece laying out the history of our church and different milestones. 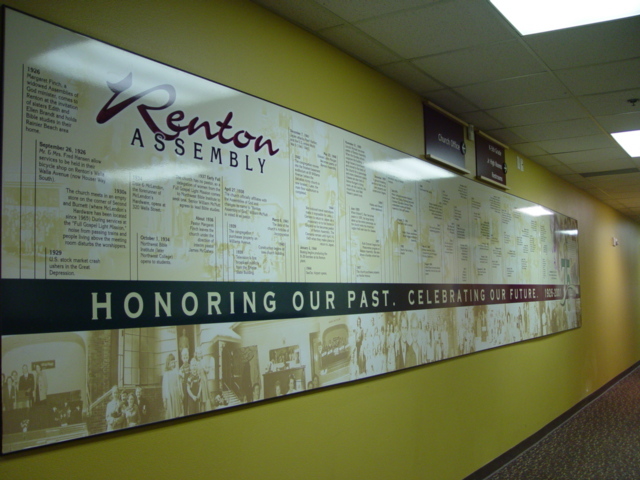 Then we made it into this piece of art that is still in our hallway communicating where we (as a church body) came from. It really honor’s the people who sacrificed to get us where we are. It’s a great piece of art that has a purpose. When new people come ot our church, they really enjoy taking a minute to read through pieces of this timeline. We also made up the history in a booklet for everyone that weekend and put the timeline in the middle. Great “take away” for the weekend. Overall it was a great way to honor our past while moving forward. How do you honor the people who made it possible for you to do ministry today?